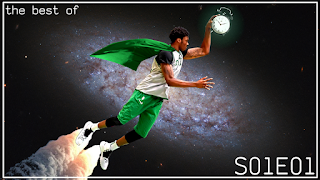 As we are in the midst of one of the longest break this season, let's go back in time to watch the best of Robert Williams so far. Rookie's been playing pretty great in very limited minutes, and he quickly became a fan-favorite. Watch the first episode of Timelord's "best of" series. Hopefully this can turn into monthly, maybe even weekly thing! I'll be back with S01E02: Blocks tomorrow.